50 wealthy parents were recently charged in a high-profile college admissions scandal. Allegedly, they used bribes, falsified admission scores, and faked athletic prowess to get their kids into elite colleges. Parental peer pressure is real. It arises in a multiplicity of parenting situations, not just college placement. The wealthier you are, the more you may feel compelled to compete. SageVest Kids offers some common examples of parental peer pressure, and ways to turn the negativity into positive teachable moments in support of your kids’ financial education. Comparing parenting experiences can be informative, bonding, even cathartic. Unfortunately, some parents create unnecessary parental peer pressure by talking competitively about when their child learned to walk, talk, read, play the piano, drive, etc. Every child achieves appropriate goals at their own pace, in line with their mental and physical abilities. This is true of your child’s financial education too. That’s why SageVest Kids advocates a step-by-step, age-appropriate approach to financial literacy. Together with developmental overviews, we help you introduce financial concepts at a time that’s right for your child. Some of America’s wealthiest cities are in the DC Metro area . Whether you live here or elsewhere, being surrounded by affluence can create intense parental peer pressure to keep up with the big houses, new cars, and expensive vacations that others enjoy. Ignore the Joneses! True wealth involves saving some of your income, not spending every dollar. You can enjoy an amazing vacation without splurging, and there are plenty of free activities for kids and families to enjoy together, especially in DC, MD and VA. Be a good financial example for your kids, modelling sensible saving habits that support both current and future financial needs. As a wealthy family, you also need to beware of the Wealth Effect, and create realistic lifestyle expectations for your kids, relative to future earning potential. If you live in an affluent area, you might also feel powerful peer pressure from other parents to buy your child designer goods, the latest technology, or even top-of-the-line vehicles. Certainly, your tween or tween will experience this from their cohorts. Don’t be coerced into behavior that goes against your financial and family values. Teach your kids that a person’s worth extends beyond what someone is wearing, driving, or how they look. Help your kids make sensible purchase decisions, including understanding the difference between regular and luxury goods, and the purchase premium associated with new technology. If your kid’s still intent on that new iPhone or the latest Yeezys, insist they pay the differential. Any coach, from Little League to college, has horror stories of overzealous helicopter parents who exert extreme parental pressure on staff members, other parents, and even their own kids. The reality is that most kids aren’t the next Serena Williams or Aaron Rodgers, so encourage your kids to simply enjoy participating. 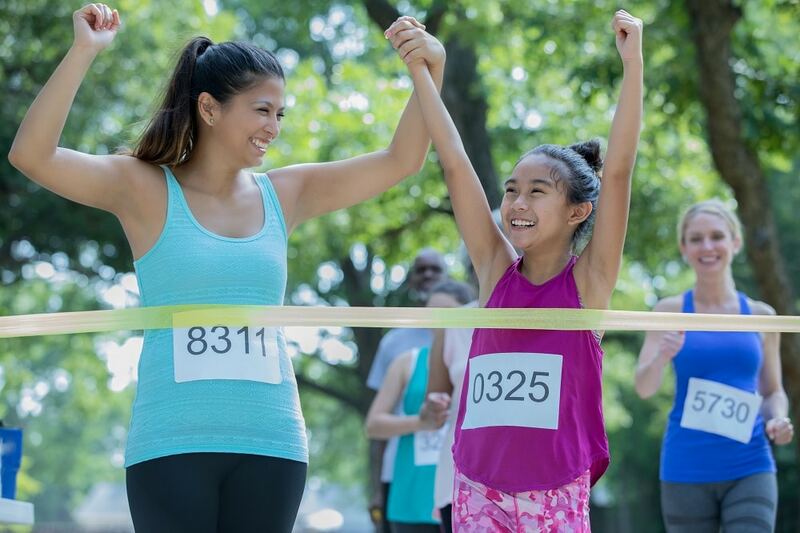 The life skills inherent in sports and other shared activities e.g., team spirit, personal responsibility, time management, and motivation can help your kids develop stronger self-esteem, a key tool in managing peer pressure during the tween and teen years. Don’t count on a college athletic scholarship to fund your kid’s college education, either. Athletic scholarships are notoriously competitive , and full scholarships are even rarer. Save diligently and tax-efficiently using a 529 plan. When your kids enter high school, talk about educational costs that you’re ready to support, versus those they’ll need to fund themselves via savings and part-time work. Parental peer pressure seems to coalesce around college scores, applications, and admissions; hence the recent pay-to-play admissions scandal. You don’t need to participate in the tsunami of parental peer pressure, but you do need to ensure that your teen understands how their SAT/ACT score and other choices may impact their future earnings and lifestyle as they near graduation from high school. Perhaps the pinnacle of parental peer pressure is what college your teen attends. Elite schools are perceived to offer a higher standard of tuition and higher pay upon graduation . Unfortunately, they also have the lowest acceptance rates (as low as 4% for Harvard and Stanford ), and the highest costs. While cost shouldn’t be the driving factor, if your kid’s accepted to an elite college, you need to be sure they’re not saddling themselves with a disproportionate level of student debt, relative to potential future earnings. Emphasize choosing the right college, rather than simply an elite college, by evaluating factors such as chosen major, extra-curricular opportunities, location, and diversity, as well as cost. As the recent college admissions scandal illustrates, parents can be equally susceptible to peer pressure as their tweens and teens. However, it’s possible to recognize, resist, and reverse this negative social trend, instead putting it to good use in helping to teach your kids about money and life in a more positive context. SageVest Kids is brought to you by SageVest Wealth Management, an independent, fee-only financial advisor and investment management firm. Please contact us to discuss our family-focused wealth management services.